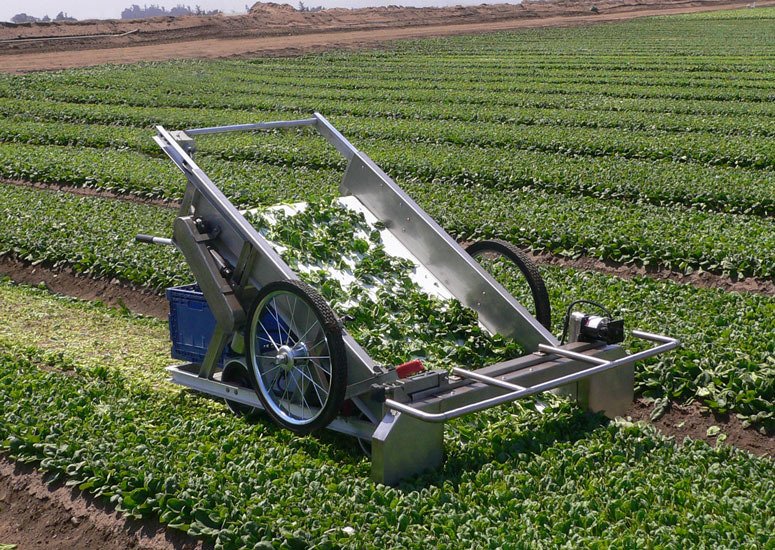 A single operator can harvest 300 lbs of leafy greens per hour with the HarvestStar Mini-Harvester, effectively doing the work of an entire hand harvest crew. 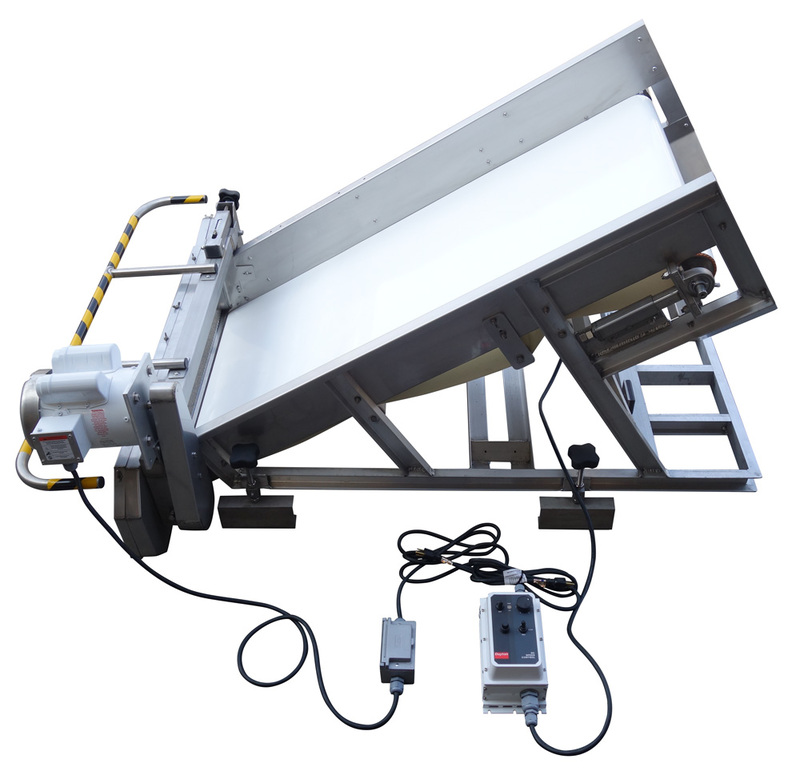 Utilizing the industry standard band blade cutting system, the HarvestStar is ideal for harvesting baby lettuce, spinach, or other leafy crops. 12-V motors powered by a rechargeable battery. Fully charged battery provides ~3 hours of harvesting power before recharging is needed. 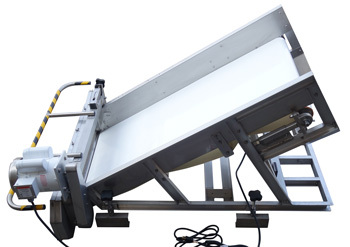 Safety guards to protect the HarvestStar cutting head system. 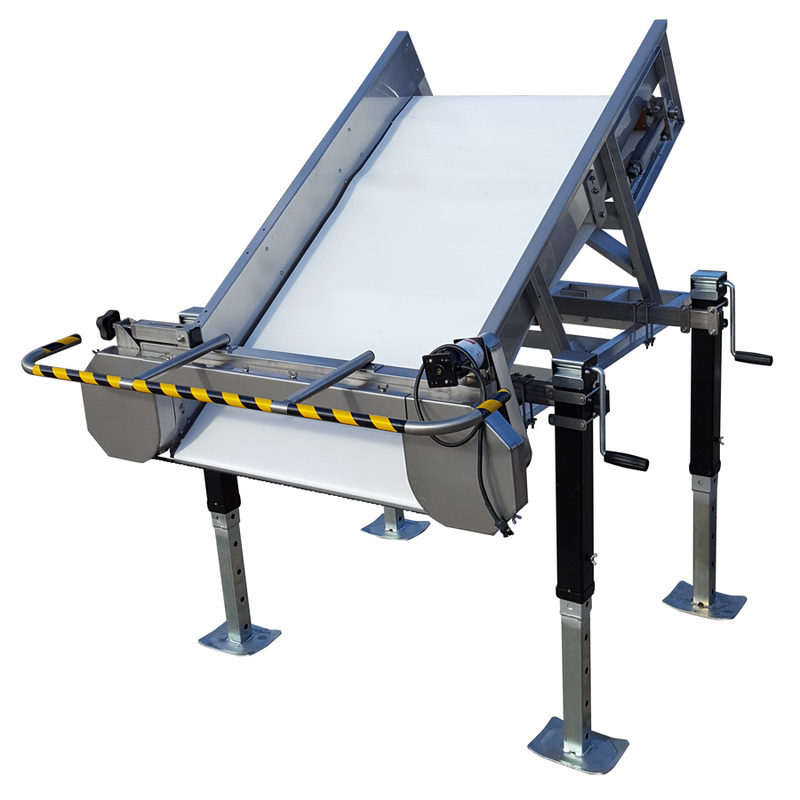 Our HarvestStar Table Top Harvester is available for greenhouse use / crops grown in trays. Custom made to suit your specific growing system. HarvestStar cutting height can be adjusted from soil level, up to about 2" above soil. 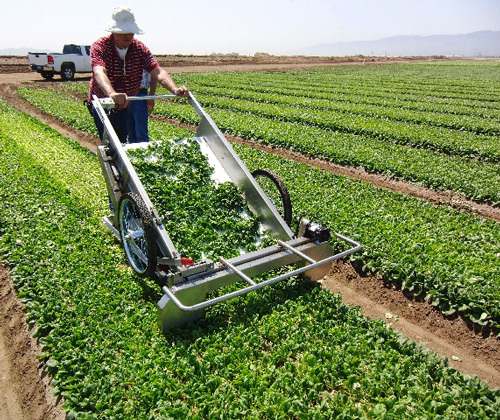 Our HarvestStar push type harvester is ideal for harvesting crops which are cut 1-inch or more off the ground like spring mix and spinach. 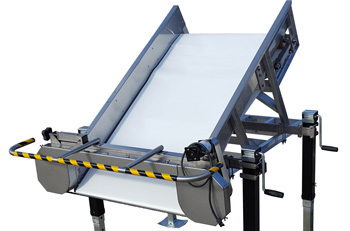 Our standard HarvestStar has a 28" cutting width (alternate widths available upon request). 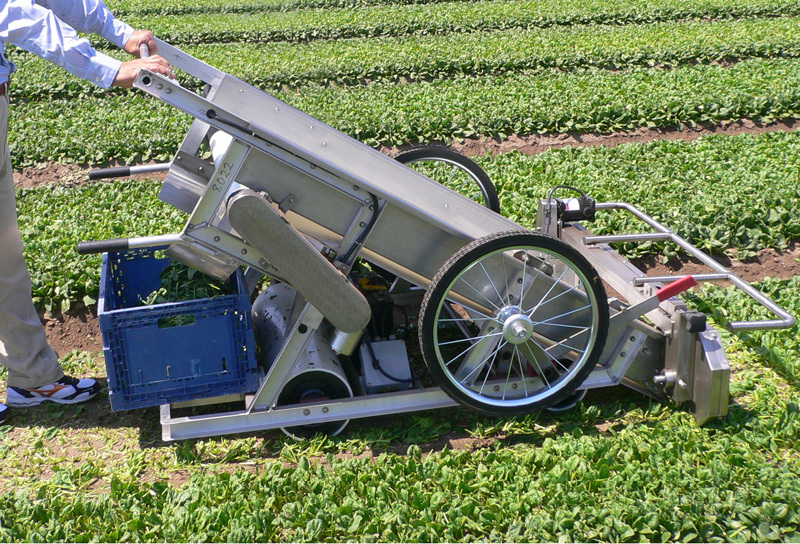 HarvestStar with band blade cutting head harvesting spinach in the Salinas Valley. 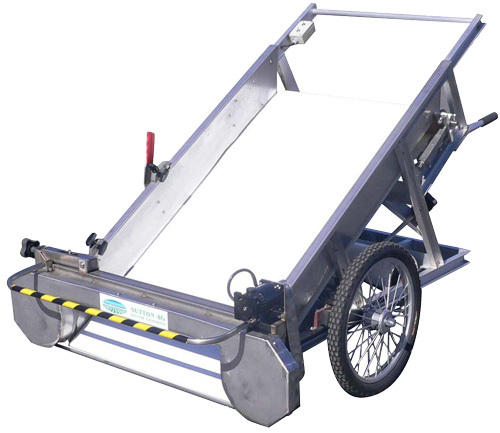 The HarvestStar mini-harvester weighs about 300 lbs and is guided through the field on top of the bed. 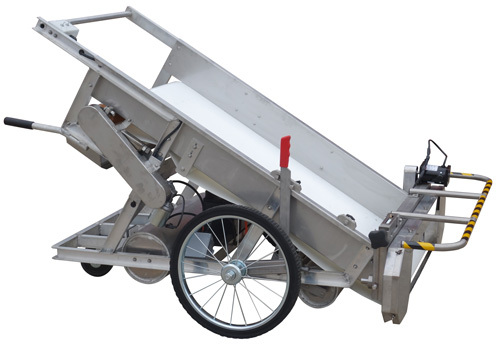 This allows for harvest of nearly any bed width, and is ideal for cutting flat plantings. Wheels are raised when harvesting and lowered when transporting.